What Are the Benefits of Natural Deodorants That Are Free of Aluminum? Some people avoid deodorants for a variety of reasons. them. 3 What Are the Benefits of Natural Deodorants That Are Free of Aluminum? Deodorant may seem like a daily hygiene must-have for preventing unpleasant body odor, but deodorants aren't necessarily for everyone. First of all, you should be aware that deodorants merely neutralize or mask body odor, while antiperspirants actually stop sweating through chemical means. 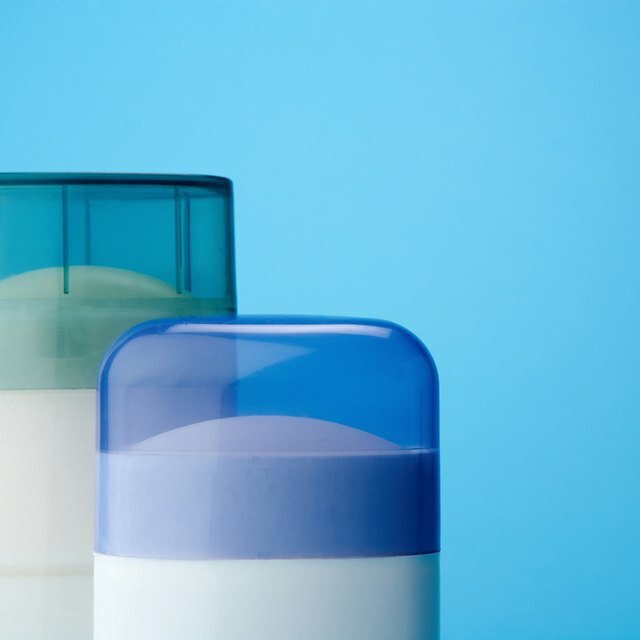 Deodorants tend to be less problematic than antiperspirants, but there are still a range of reasons why individuals might want to avoid these products. Some people find that deodorants make their underarm skin turn itchy and red. The culprits may be any one of a number of known skin irritants, including artificial fragrances and propylene glycol, a "skin conditioning agent" added to many products to help control the consistency and aid in its absorption. Or you might be allergic to a specific substance. Even deodorants free of synthetic ingredients, such as crystal deodorants and baking soda-based formulas, can cause irritation. Solid deodorants are notorious for leaving white marks and stains on clothing. Deodorant marks are most noticeable on dark clothing. These marks are embarrassing but harmless and can be easily removed with a little attention. Use a gel, roll-on or aerosol deodorant to avoid such marks, although they may also leave residue on clothing. Aerosol deodorants no longer contain ozone-depleting chlorofluorocarbons, thanks to federal regulations that ban them. But that doesn't mean the sprays don't have an adverse environmental impact. Aerosol deodorants contain a class of chemicals known as volatile organic compounds, or VOCs. These compounds can trigger asthma attacks and contribute to urban smog. Triclosan is an antimicrobial compound that's best-known as an ingredient in antibacterial soaps and body washes. It also makes an appearance as a preservative in many commercial deodorants. Triclosan is considered safe by the FDA, but scientific studies have shown that it can act as a hormone disruptor in animals, particularly with regard to thyroid function. Overuse of triclosan also has environmental effects. Most notably, it helps promote strains of antibiotic-resistant bacteria. Slate: Should I Stay Funky? Scientific American: Bad Hair Day -- Are Aerosols Still Bad for the Ozone Layer? Does Solid Deodorant or Gel Work Better? Can Coconut Oil Be Used as a Sunscreen & Deodorant?